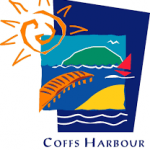 The Coffs Harbour Regional Conservatorium is affectionately known locally as the “Coffs Con” or just “the Con”. 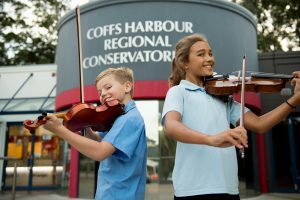 The Coffs Harbour Regional Conservatorium’s vision is to be an inspiring and creative hub for excellence in performing arts. Our mission is to enrich the cultural life of the Coffs Coast communities, through the provision of quality music education, opportunities and experiences, accessible to all. Lessons and ensemble sessions take place at the Con and in various schools on the Coffs Coast. Our students come from a wide geographical area: from Woolgoolga, north of Coffs Harbour, to Nambucca Heads and Macksville in the south, and inland to Bellingen and Dorrigo. The Conservatorium is managed by a team of professional staff overseen by an honorary Board of Directors. We are a Registered Charity, all donations are tax deductible. The Conservatorium is a non-profit community based organisation, with partial operating funds provided by the NSW Government Department of Education, Regional Conservatoriums Grant. We also receive additional support for specific purposes from local government, corporate sponsors and private benefactors. We are a founding member of the Association of NSW Regional Conservatoriums, one of a network of 17 across New South Wales.